The CHIO Aachen Equestrian Festival is one of the best horse shows in the world. The events are all held on the same grounds and the grand stands are adjacent to each other so you can watch the dressage and easily walk to the next area to watch Show jumping. The trade stands provide a huge variety of Equestrian goods as well as other items and there are plenty of food venues at the festival. The warm up arenas are in full view of the spectators and is one of the best things about the show. You can watch the competitors warming up and listen to what their coaches are instructing. 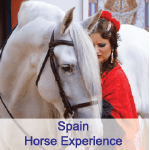 You will enjoy the local German hospitality and witness some of Europe’s best riders and finest horses in action. The majority of the group will fly from Australia to Dusseldorf or Frankfurt on the 14th of July and if you choose you may like to upgrade to business class or fly to another destination first. The transfers are from Dusseldorf or Frankfurt. We have given people the option of a land only tour or we can include flights. This gives you the option to stay on in Europe for a little longer. The Hotel we have chosen is situated in the city centre, very close to the old part of the town and directly opposite the shuttle bus terminal which will take you to the competition grounds. The trip is approximately 15 minutes and shuttles run all day. This means you will be free to travel to and from the events at your leisure. There are many restaurants within easy walking distance of the hotel. If you wanted other tickets for Aachen this can be arranged. Tickets for other events can be purchased on request. At the finish of the Aachen event you may like to extend and include other arrangements and return at your own convenience. Dates are still provision for 2020. Our confirmed itinerary and pricing will not be released until July 2019. Please meet at the airport for your international flight to Germany. You may choose to meet us in Germany if you prefer. This morning after a leisurely breakfast enjoy an English speaking guided walking tour of the old part of Aachen. After lunch catch the shuttle to the grounds for the opening ceremony in the evening. Your ticket includes the Show Jumping today so you might like to go to the venue early to watch this or perhaps enjoy some retail therapy prior to the opening ceremony. Today in the Deutsche Bank Stadium there will be a morning Prix St George and later a Grand Prix CDI4*. The driving dressage phase begins in the Driving Stadium and you have entry to this with your dressage pass. The market place area has a great selection of trade stands and includes a wide selection of dining options. The Deutsche Bank Stadium will be the site of the eventing dressage phase this morning. Show jumping continues in the main stadium with some interesting events and the eventing show jumping takes place later in the day. Alternatively you may like to explore today and take a bus trip to Maastricht in The Netherlands for half a day. Spend some time visiting the sights and exploring this lovely city. This evening in the Deutsche Bank Stadium watch the Young Rider Grand Prix, Quadrille Championship and the Grand Prix special. This morning after breakfast it is recommended to get an early start to watch the eventing cross country in the field behind the main park. After the cross country the marathon phase for driving four-in-hand driving will follow on. Both events are included in your season pass. In the Deutsche Bank Stadium the Grand Prix special CDIO and FEI Grand Prix showcase during the day and this evening will feature the Grand Prix Freestyle and the “Best of Champions” in the Main Stadium. This is the Grand Prix Day at the Aachen Festival with the Grand Prix of Aachen in Show Jumping and the Grand Prix Dressage of Aachen (Freestyle) in the dressage stadium. Your tickets today include the show jumping and the closing ceremony which will follow on after this. Today is our last morning in Aachen and is the last day of the tour. You might like to choose to stay on in Europe and enjoy a few extra days or weeks travelling or transfer to the airport for you flight back to Australia. On arrival in Australia, proceed through customs and immigration and collect you luggage.